Hey everyone, so for the first day of this 30 day challenge I'm attempting, I'm to say which is my favourite eye liner. Well hands down that would be Stila's smudgestick waterproof eyeliner in Sting Ray. 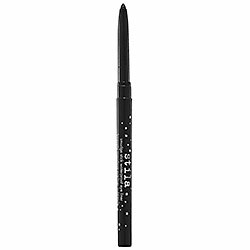 I love how easily this liner glides on, the pigmentation, its durability and the fact that it is indeed waterproof. This is my go to liner that I wear every day and I wouldn't go back to any other liner. I've tried my fair share between name brands from Sephora and lower quality drug store brands and I've always come back to this one. I never get raccoon eyes at the end of the day and I don't need to reapply during my lunch break. It's a match made in heaven! Hey everyone! I think it's time to try something new and what better way than to try a new challenge. And in order to update my blog a bit more often I'm going to try this 30 day challenge that I saw posted on Nykki Mane's blog.